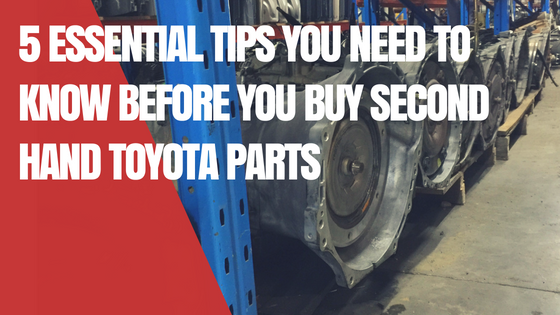 Buying Second-hand Toyota parts can be a daunting task for anyone. With something as costly as a second-hand engine, it is something you really want to get right the first time. Over the last 8 or so years, there has been a huge increase in the public trying to save some money by sourcing their own second-hand parts. I'm not talking about small items like a headlight or mirror either. I mean engines & gearboxes. In the past sourcing, the parts has been the job of your mechanic. Your mechanic has much more industry knowledge, that's a given. They will have their trusted wrecker whom they buy their second-hand Toyota parts from. They will also have a list of who not to buy from. There is a good chance you will get a look of concern from your mechanic when you tell them ‘you will source the part’. So off you go to visit the local Toyota wrecker to buy your part. Let's say the part, in this case, is an engine. You buy the engine and organise it to be delivered to your mechanic. The mechanic removes your old engine & installs the engine you bought. Shortly thereafter you get a phone call from the mechanic saying the engine is faulty. This is where the fun begins. You’ll need to inform the wrecker the engine they said was a "low kilometre" & "tested by qualified mechanics" is faulty. Assuming the engine has a warranty it can play out a few different ways. The whole process is still something you could do without. It will definitely increase the cost of the exercise, it's just a matter of how much. The mechanic will have all kinds of extra charges. The removal of the faulty engine and the installation of another engine to start with. We cover warranty a bit further down. If you want to avoid this happening to you & save yourself some money keep reading. It is a lengthy read but at the very least it will help you avoid the wreckers out there not doing the right thing. If you are buying a mechanical part or a part that moves, the first thing you want to do is find out just how 'used' the part is. Establishing the kilometres of the vehicle the part has come from is a must. While low kilometres don't guarantee 100% you won't have any issues, it is a good gauge of the quality of the part. It is one of the first questions your mechanic will ask. 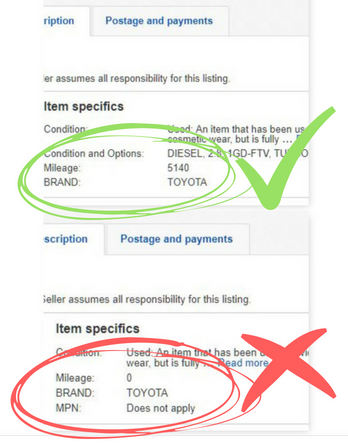 This is very easy to check if you're searching for used Toyota spare parts online. Every online listing for second-hand engines & accessories should mention the kilometres or mileage. Whether the item is on eBay, Gumtree, Facebook or anywhere else for that matter. Any listing that doesn't mention the kilometres should be avoided. Think about it, it's common sense. It is the main selling point of a second-hand part. If the kilometres were low or even reasonable then the wrecker would be shouting it from the rooftops. If the kilometres are high, then they will leave them out of the advert or leave as ZERO to avoid scaring you off. 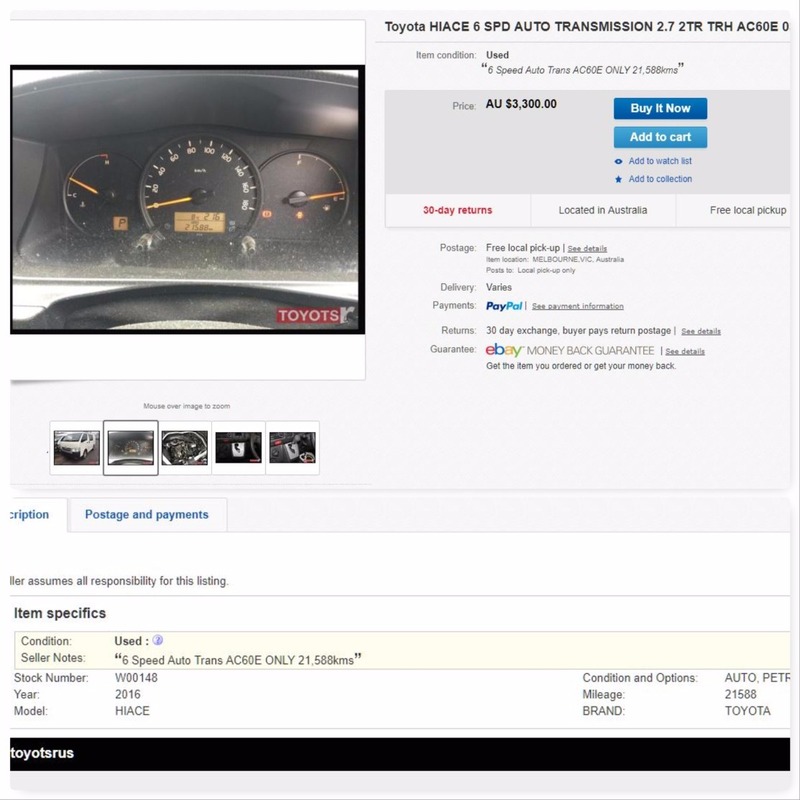 The chances of someone clicking on an advert for a second-hand part with 300,000+ kilometres on it are slim to none. So these wreckers manipulate the advert so you do. 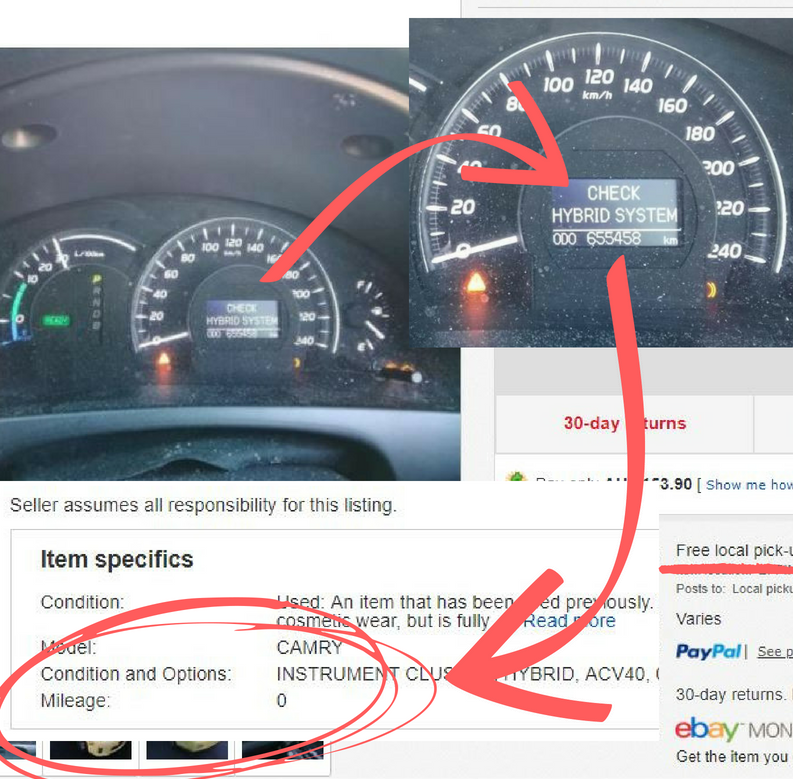 To help you understand what I am talking about check out this eBay listing I found from another wrecker. See how easy it is for these wreckers to change 655,458km's into 0km's. I was able to track the mechanical parts the wrecker had listed on eBay back to the cluster using their own stock number. I was amazed they had it listed. The people doing this sort of thing are either genuinely stupid or just lazy which is why they cheat in the first place. In my opinion, this level of deception should carry huge penalties, just think of the poor bugger who buys the engine with over half a million kilometres on it. These second-hand parts shouldn't even be up for sale in the first place. It is deliberate & it is wrong. If you are unsure and think it could be a typo, maybe a one-off mistake, I encourage you to check the seller’s other items. If all their mechanical parts are missing the kilometres that's telling you something I recommend you move onto the next seller. It's not worth the risk. If the advert does mention kilometres then you need to try and verify them. There are a few things you can do to make sure the advertised kilometres are true & correct. If you can view the vehicle you can check the kilometres on the instrument cluster. If you can't view the odometer then look for the service book. You should be able to find info on when the last service was and what kilometres were showing. If the books are “missing” look for service stickers on the windscreen or on the engine. This will at the very least tell you when the last service was and the kilometres at that time. 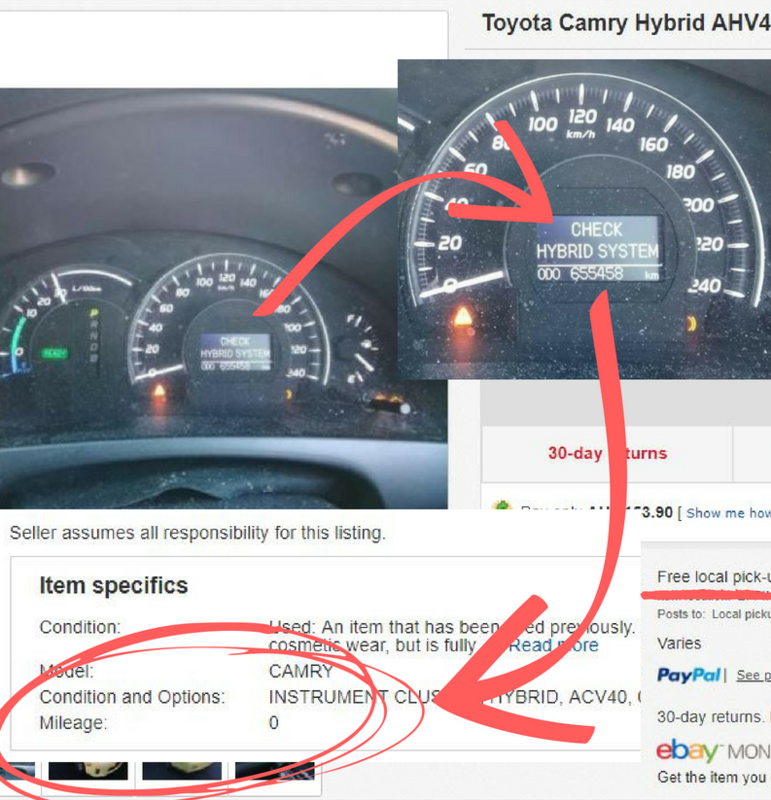 If you are unable to get to the vehicle ask the seller for a picture of the cluster. 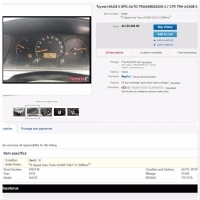 The seller should respond with a picture of the cluster with the kilometres. Often the invoices for the vehicle from the salvage auctions have the kilometres. Here we have had a situation where we had sold the cluster before the engine. 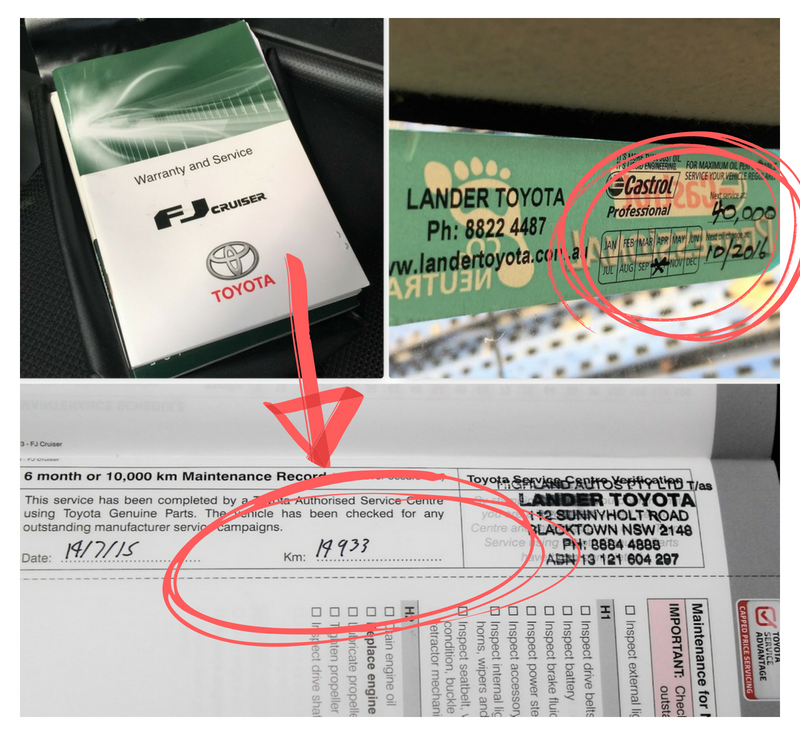 The customer asked for this invoice to verify kilometres. You are well within your rights to ask the seller to prove what they are advertising is correct. Abandoned cars, ‘ELV’ or End of life vehicles are vehicles that have done their dash. These vehicles are ready to be crushed. Never to be on our roads again. They have extremely high kilometres with mechanical issues that aren’t worth fixing. You will inherit these issues if you take the risk and buy mechanical parts from an ELV. How do you identify an ELV? In reality, it's very hard to pick the difference. You need to look at the seller. Look at their listings online & follow my first point. 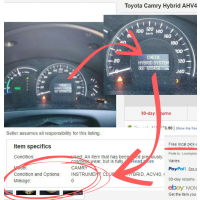 The mileage of mechanical listings will be missing or left at zero. The wrecker selling the part will be active in scrap car removal. You can check this using google maps, usually, there is some sort of metal recycling or car removal business showing at the same address. They are removing these derelict vehicles from peoples garages or front yard because they don't start. Then they are selling the parts online. 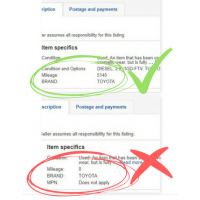 Listings for Second-hand Toyota spare parts online will usually include images of the complete vehicle with no visible damage & won't have auction stickers or markings on them. I know some of you are thinking what do auctions have to do it? Well, vehicles from salvage auctions were driving at the time of the accident. This suggests the engine was running. 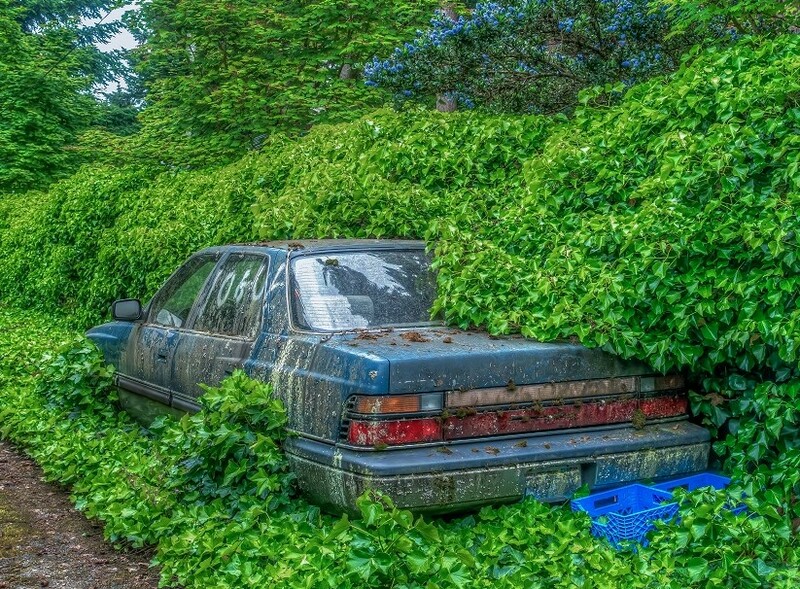 These auction vehicles aren't sitting in someones front yard for years, being overgrown with weeds, unable to move because they won't start. Up until the accident, the salvage auction vehicles were registered & on the road. These vehicles were someone's family car or work vehicle being maintained & regularly serviced. I know which parts I would prefer to have fitted. Fitting an engine from a car that has been sitting in someone's front yard for the last 2 years is asking for trouble. Moving on to Taxi's. Toyota is one of the most common makes for Taxies. The Toyota Camry, Toyota Hiace, Toyota Kluger & the Toyota Prius are the most common. Some Toyota wreckers are selling mechanical parts from Taxi's. This is a big no-no. Reputable yards don't do this as the parts are impossible to warranty. 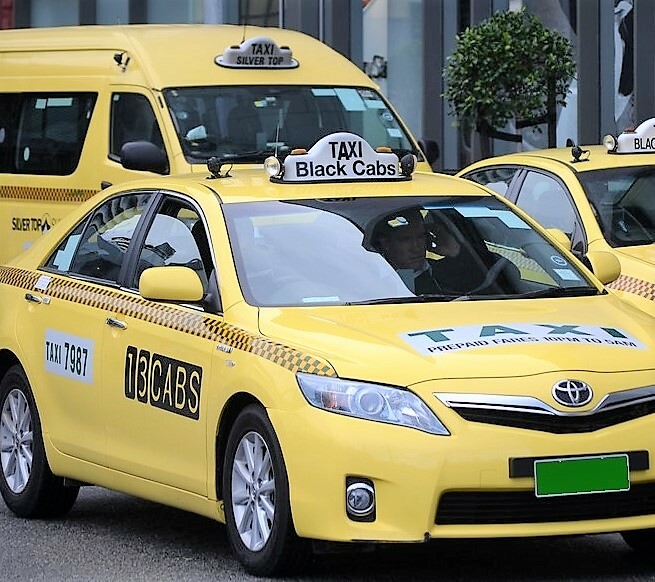 A Taxi's sole purpose in life involves doing as many kilometres as possible. Next time you're in a taxi, ask the driver how many kilometres he travels in a week. It doesn't take them long to get some seriously high kilometres under their belts. We regularly sell instrument clusters to Taxi's because the odometer has stopped working. The odometer stops working when it gets to 999,999km's it doesn't go any further. The solution is to replace it. Buying a mechanical part from a Taxi is a huge risk. You could be installing a part that has travelled over 1 million kilometres. The costliest used Toyota part to replace is the engine. What happens if something goes wrong? The first thing you must do before you hand over your hard-earned money is confirming the terms & conditions. Some sellers will have very specific warranty conditions which you need to be aware of so you don't void your warranty. I know of one seller who offers a 12-month warranty but requires the engine to be fitted at a dealership. If it isn’t then your warranty is void. It’s very important you know all this before you buy. The terms & conditions need to be followed to the letter, especially if you are fitting the part yourself. After working in the industry for almost 20 years, believe me, there are sellers that bank on the fact that you won’t. If the terms & conditions of the seller aren't followed it enables the seller to avoid honouring the warranty. This will leave you very frustrated especially when the terms are so simple to follow. 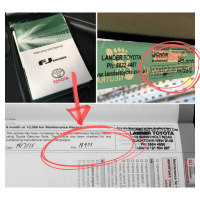 You should be able to access the seller's warranty conditions on their website. If they don’t have warranty details on their website ask the seller for a copy. When buying a second-hand engine, there are a few common warranty conditions used in the wrecking industry. One is to have your cooling system & radiator flushed. Flushing the radiator, yourself with a hose won't cover it. You need to have the radiator flushed by a company such as NATRAD. A faulty cooling system causes your engine to overheat resulting in a head gasket issue. This is one of the main causes of engine failure. You will get an invoice which you need to keep as proof. It’s the first thing they will ask for if you report an issue. Your warranty will be void without this please make sure you get an invoice for the work done to your cooling system. What has been known to happen is, the engine isn't tested properly or even sold knowing the problem exists. The engine is installed and then gets diagnosed with a cracked head gasket. Without proof that the cooling system has been flushed the seller will claim this is the cause and deny your warranty claim. You may have a case if you want to take it further, but it's still a headache which you can avoid. Another common one is to not tamper, alter or work on the internals. In other words, don't take the engine apart whatsoever. If you are not happy with the engine don't go pulling the engine apart. If you do start removing bits & pieces, the wrecker will deny any warranty claim. They will suggest you caused the issue. You are within your rights to ask for another engine. Or if it looks like an easy fix asks for permission to perform minor work on the engine. If you get permission from the wrecker to do anything make sure you get it in writing too. Your best bet to avoid any possible headaches is to get the seller to install the item. With the bigger jobs, you can try and negotiate the cost of the installation. We charge $700 for a standard engine fit but you can expect to pay $1000-$1200 for a standard engine fit. Shop around if you get quoted more than that. If the wrecker installs it they are 100% responsible for the part and installation. You are in the clear and cannot get any unfair blame if something does go wrong. Before you buy anything, you should do your due diligence and do a bit of research on the seller. Check their feedback & reviews on Google, Facebook, Yellow Pages, eBay and True Local, basically anywhere a customer has reviewed the seller. A good one is productreview.com.au it is good because they take fake reviews seriously. 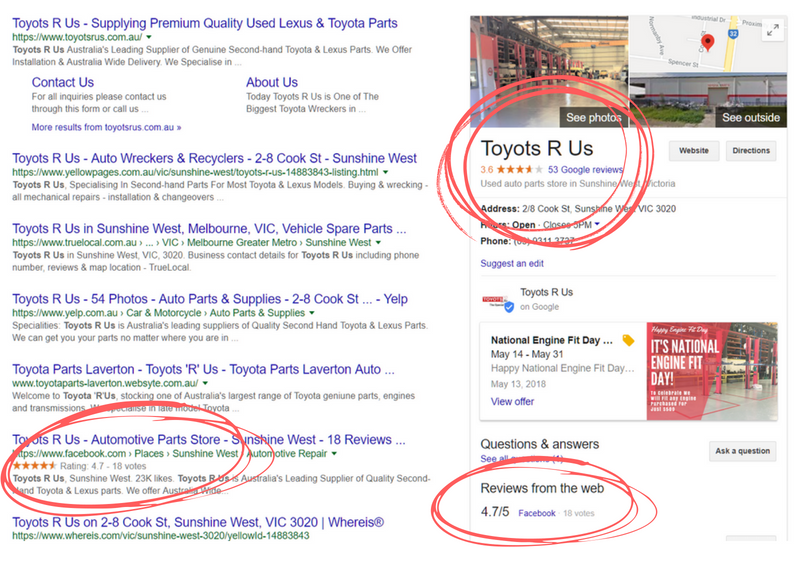 Using algorithms to detect the fake reviews and remove them. Similar to Yelp who are the best in the business of detecting fake reviews. Yelp go one step further and leave the fake reviews on the business listing but mark the reviews as ‘not recommended’. This is a clear sign the business is writing their own positive reviews. This practice is unfortunately very common on Google. They are incredibly bad at detecting them and even worse at removing them. It is fair to say Google reviews aren’t what they seem. Google says it looks for irregular patterns. For example, Google supposedly looks for a business that normally gets maybe 4 reviews a year, then suddenly gets a dozen reviews over a couple of days. This, however, is not the case. I know of one wrecker who received around 15 reviews over 8 years who then increased to 130 positive reviews almost overnight. Google did not remove any of them. Many of them using similar phrases & grammar. Most of them posted in bursts, in other words at the same time. To top it all off each reviewer reviewed that one company, no one prior & no one since. It's not rocket science & consumers aren’t silly. The majority of people recognise these reviews as fake. When it comes time to review the poor quality parts & service they choose to leave their reviews on sites other than Google. The business can’t offset the negative review with a couple of fake 5-star reviews. Another quick check you can do is on Facebook. 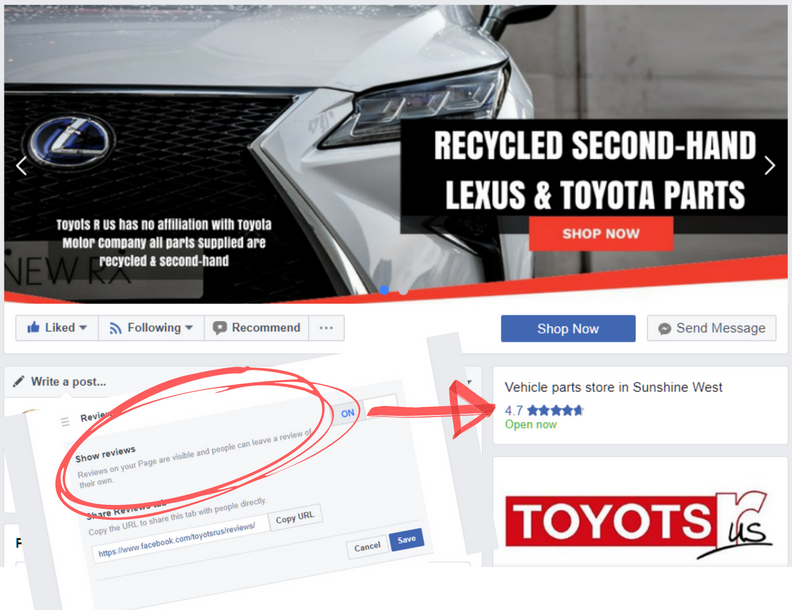 A Facebook business page gives the business the option to show reviews or remove them altogether. 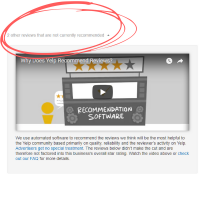 Meaning you cannot review them and you cannot view previous reviews, good or bad. If you come across a business page who has removed the review option, you should ask yourself why? 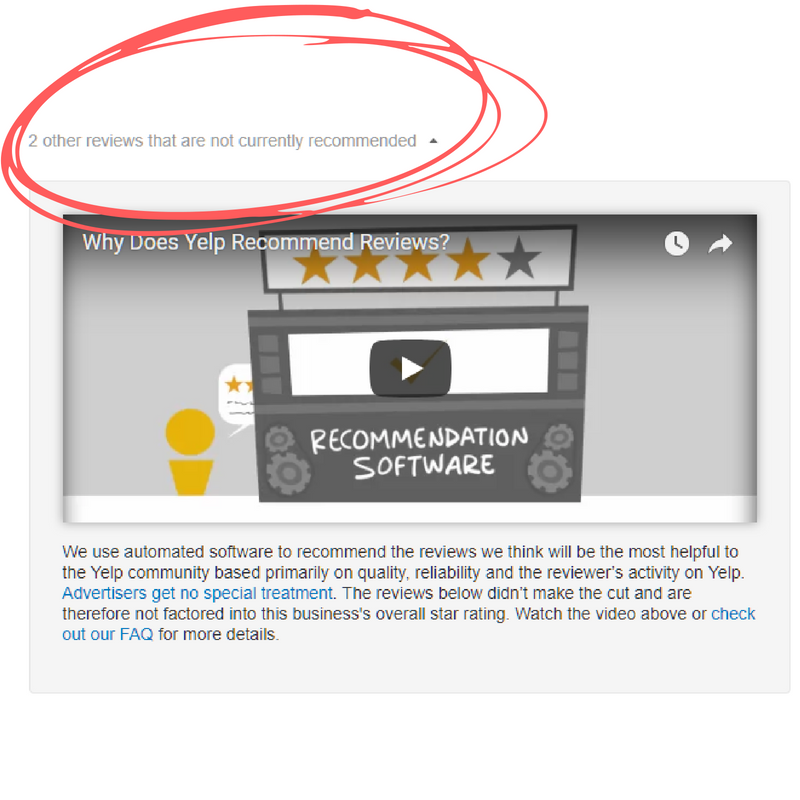 If the business has removed the ability for people to review them what are they hiding? If they are hiding their reviews what else are they hiding? 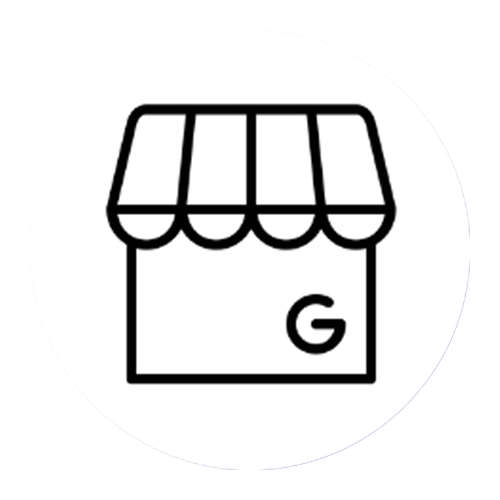 If a seller has what seems to be a good track record on one review platform, let's use Google for example, but has removed the review feature from their Facebook page, the chances are that the good track record on Google isn't as legitimate as the seller would like you to think. Realistically there is only one reason to remove the ability for people to review you, and that is to hide what people really think. Things to take into account when looking at the seller's online reputation. Check the seller's Google reviews they will have plenty of glowing 5-star reviews, using similar words & phrases. Many of the reviewers have either only reviewed that company or reviewed several businesses around the same time. Does the seller have negative reviews scattered over other review platforms? Has the seller disabled reviews on their business Facebook page? The wrecking industry has a stigma attached to it, no doubt. It's not a myth. There are some wreckers making money with the unethical business practices mentioned above. These wreckers are affecting both sides. The buyers are getting ripped off. They are buying second-hand Toyota spare parts they think are good quality. Thinking they will get good use out of the part. Unfortunately a lot of the time this is not the case. On the other side of the fence, you have the wreckers who are doing the right things. 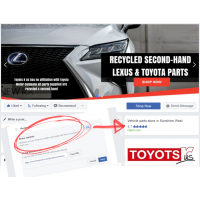 They buy & sell good quality second-hand Toyota parts that will last years beyond any warranty. These wreckers miss out on the sale due to lies, misleading listings and a cheaper price tag. Use these 5 tips as a guide to help you avoid the items & sellers that will give you problems. By following this guide you will save yourself some money & time in the process. Hopefully, this levels the playing field for you a little bit.